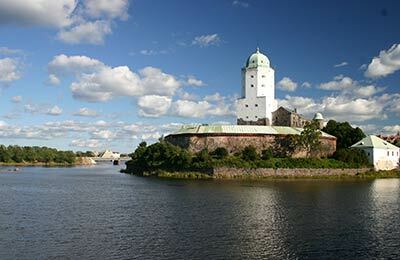 Vaasa is a city on the west coast of Finland with strong Swedish influences. The city used to belong to Sweden, has been named after a Swedish royal house, and a quarter of the population speaks Swedish as the first language. Below, you can find all the Vaasa ferry timetables, journey times as well as our best prices. Vaasa is connected to Umea by Wasaline ferries, and like Umea, Vaasa suffered a large fire in 1852 that left much of the city in ruins. The decision was made to move Vaasa closer to the sea, and Swedish architect Carl Axel Setterberg was appointed the prvincial architext to rebuild the city. You can still visit old Vaasa where you will find ruins and an 18th century court building that survived the fire but has been converted into the Church of Korholm. If you are fascinated by modern architecture, you'll find some unique buildings in Vaasa. Look out for the Campus of Vaasa University, the Center City Block and Huutoniemi Church in particular. 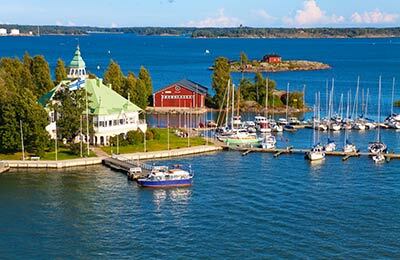 Vaasa ferry port is located approximately 4km from the city centre, in Vaskiluoto. Take route 6741/Vaasanpuistikko and follow the signs to 'Uumaja' and 'satama' to reach the port. Vaasa is approximately 240km from Tampere and 270 km from Jyväskylä. Take route E12 from Tampere and from Jyväskylä take route 18 towards Seinäjoki and Vaasa. Finland has strong railway connections. The nearest station to Vaasa ferry port is located 4km away in the city centre, where taxi and bus services are available. There is a bus station in the city centre. The No.5 bus from Vaasa city centre stops at the port if required.